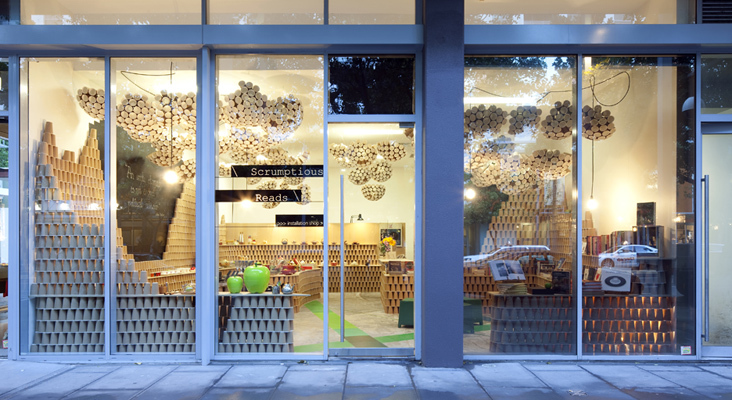 The concept for the Scrumptious Reads temporary retail space is based on the use of an everyday utilitarian object – the paper cup – to construct an artificial landscape. 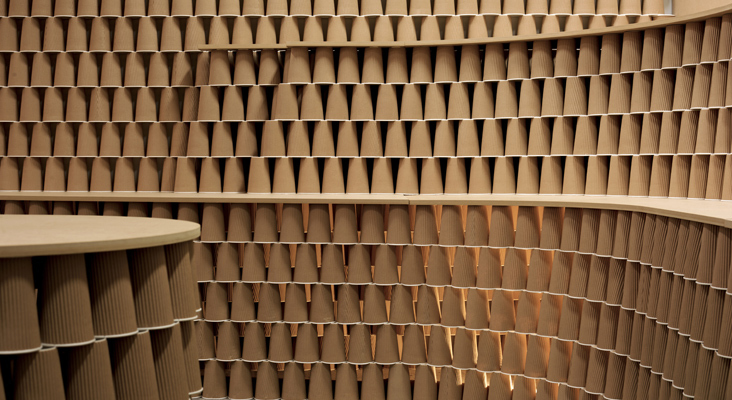 References to Brisbane’s undulating topography are seen in the shapes created by the mass of corrugated paper cups, and clusters of cups are hung from the ceiling to diffuse the light in the space. 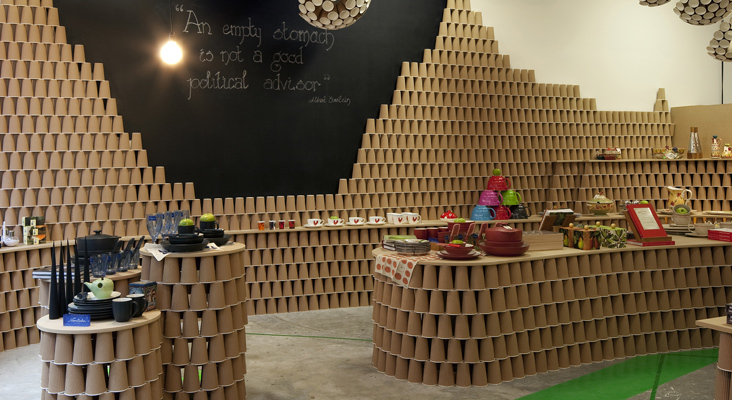 In total, 7800 paper cups were used in this ambitious project.